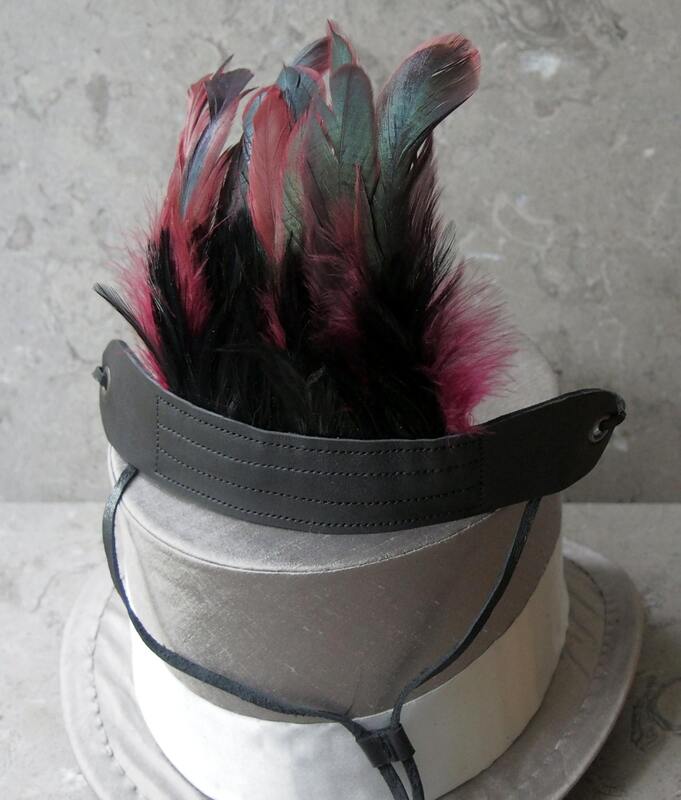 Inspired by "Fire Bird" and my other feather and leather wrist bands, this hat band show cases lovely magenta with iridescent dark green full coq saddle feathers with black hackle feathers. 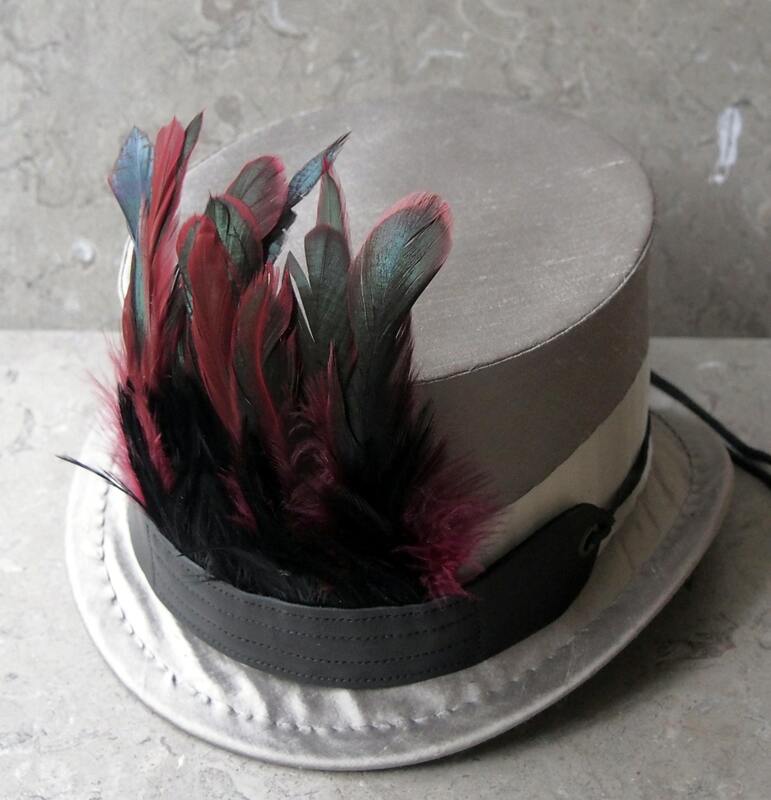 The taller feathers dance in the breeze and gracefully bend back over the crown of a shorter hat, or stand up proudly against a taller hat. The feathered area is 5" wide and tapering slightly at either end with black rivet about 2" either side of the feathers. 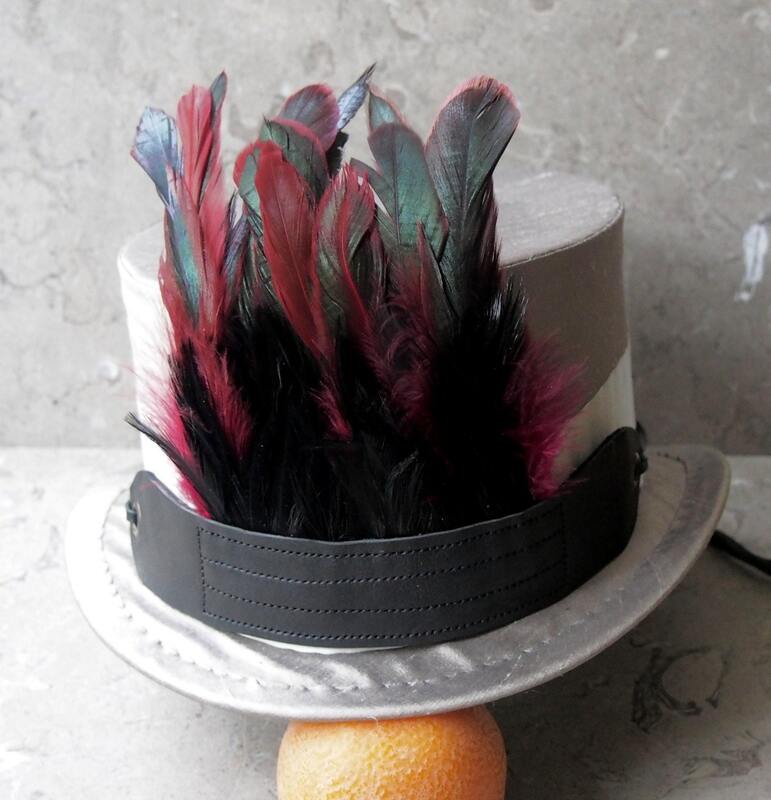 The feathers extend 6" above the matte black leather, which is 1 5/8" at at widest, making the band up to 8" tall. The feathers are first secured with glue and stitching to a soft cowhide base layer, which is then topped with the matte black, and then all layers stitched in a more decorative pattern. Strong and thin ties are created from goatskin tied through the grommets, and can adjust with a leather slide, or you can remove and replace them with other ties if you choose. 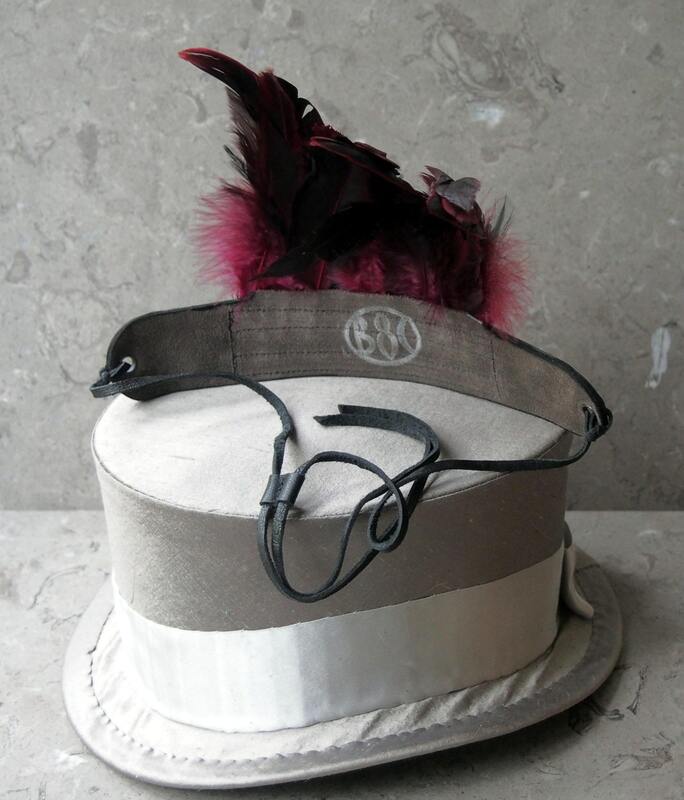 The grey silk top hat shown for reference is 24" circumference on the outer band as shown with the strap. Sorry, this hat is not for sale. The shipping uses a method to keep the feathers from being bent or crushed in transit.